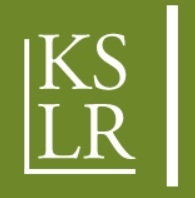 KSLR European Law Blog hereby invites you to submit abstracts on the topic of ‘EU law in times of crisis’. The articles can be related to wide variety of issues, such as the euro-crisis, enlargement and membership, the relationship between the UK and the EU and the potential ‘Brexit’, or any other recent legal and jurisprudential EU developments. After the successful Year of the EU Citizen, the blog wishes to chronicle the legal developments and discussions shaping EU law. Authors of selected abstracts will be informed by 15 November 2014. A full paper (1,000 to 1,500 words) should be submitted before 12 December 2014. The style guidelines may be found on our website. The call for papers is open to submissions from students and professionals from the UK and abroad.